WARNING: This review contains Spoilers! But I bet you guessed the supposed biggest one two years ago. 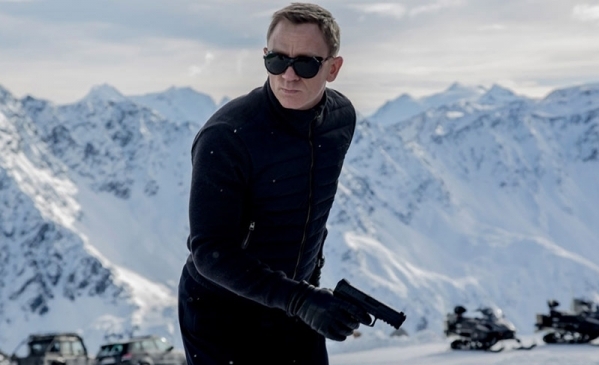 James Bond is back, but this time he’s far from “better than ever” as the ad campaign has declared every time a new entry has appeared since the series began in the early ‘60s. There’s a considerable drop-off in quality in Agent 007’s 24th adventure, SPECTRE, from his previous outing, but since that was the universally acclaimed, box office record-breaking smash SKYFALL, that’s hardly surprising. And that’s just it – as hard as they tried, there are no surprises in Daniel Craig’s fourth time out as Bond. Let’s start with how Mendes and Co. misguidedly took a page from the reboot rulebook established by STAR TREK INTO DARKNESS by lying to fans for years about the villain’s identity. J.J. Abrams and his crew swore up and down that Benedict Cumberbatch was not playing the series’ most notorious villain, Khan, in the second installment of the rebooted Star Trek franchise and we got burned bad there. So much so that Abrams admitted later that they screwed up the reveal. 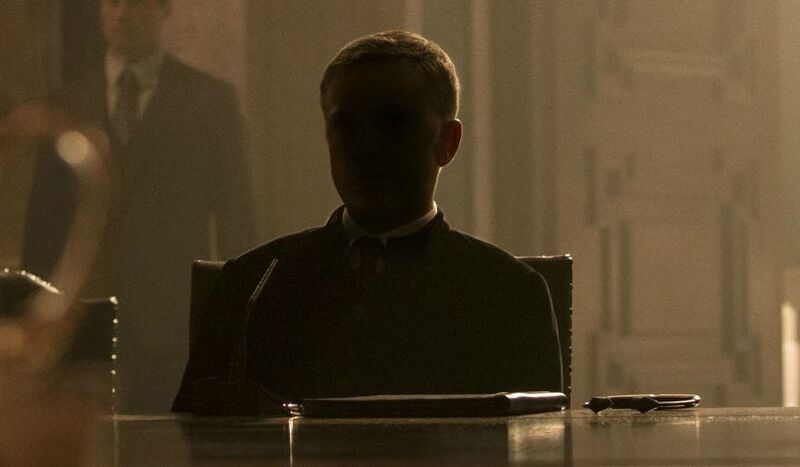 When news got out that Christoph Waltz was cast in SPECTRE, the first thought everybody interested had was that he must be playing the Bond series’ biggest villain, Ernest Stavro Blofeld. Well, the internet must be a pest because they guess things right sometimes. Beyond that, the film is a stitched together collection of overly familiar action set pieces hung on a story-line that’s no match for the plot of the last MISSION: IMPOSSIBLE movie. The plot being that Bond, spurred on by a cryptic video message left by his deceased superior M (brief final Judi Dench cameo! ), Bond goes on a rogue mission (hello, LICENSE TO KILL) to track down the titular evil organization behind a new electronic global surveillance initiative called Nine Eyes set to dismantle the MI6 00-division. SPECTRE starts off smashingly with a pre-credits scene involving a high-jacked helicopter (hello, FOR YOUR EYES ONLY!) going out-of-control above the huge crowds of Mexico’s Day of the Dead festival, but after the rather lackluster theme song “Writing’s On The Wall,” it settles into draggy drama for a bit. The new M (Ralph Fiennes) puts Bond on leave, so Q (Ben Whishaw) only gives him one gadget (a watch that can explode) and tells 007 “enjoy your downtime!” Of course, Bond disregards the notion of taking a break, steals MI6’s snazzy new Aston Martin DB10, and heads off to Italy where he hooks up with Monica Bellucci as the widow of the guy Bond killed at the film’s beginning, and he learns of a secret meeting of international terrorists that he is able to infiltrate a little too easily. This is where Waltz as Blo…sorry, Franz Oberhauser, clothed in shadowy darkness, comes in and senses Bond’s presence in the room immediately. This leads to a pretty standard-issue car chase through the streets of Rome, then Bond follows another lead to the snow-covered mountain terrain of Austria. There he hooks up with Léa Seydoux as Madeleine Swann (sadly, the more age appropriate Bellucci is long out of the picture), the daughter of Bond’s former adversary Mr. White (Jesper Christensen, making his third appearance in the series after CASINO ROYALE and QUANTUM OF SOLACE). This, of course, leads to another chase, with 007 chasing after the film’s Oddjob stand-in Mr. Hinx (WWE wrestler-turned-actor Dave Bautista) in a commandeered private plane that gets its wings clipped (hello, LIVE AND LET DIE!). Meanwhile, Fiennes’s M frets over a merger with MI5 and clashes with his new superior, C (Andrew Scott, best known as Moriarty on Sherlock), while Moneypenny (Naomie Harris) and Q (Whishaw) have more screen-time than usual on the sidelines aiding 007 and M.
Bond and Swann follow another lead to Morocco, and after a brutal fight on a train with Mr. Hinx (Hello, FROM RUSSIA WITH LOVE, LIVE AND LET DIE, and THE SPY WHO LOVED ME! ), they make their way to SPECTRE’s meteor crater lair (like Blofeld’s volcanic lair in YOU ONLY LIVE TWICE! 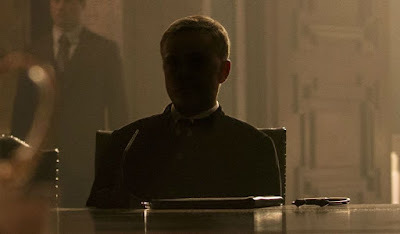 ), and that’s where we get the lowdown on our villain’s background and all that other spoilery stuff (apart from Waltz’s identity as Blofeld there actually are some plot-points here I’ll refrain from describing). The London-set climax, which involves blowing up the remains of the old MI6 building, and more helicopter shenanigans, isn’t very inspired and whatever excitement was in the film had drained from the film way before they get there. Screenwriters Neal Purvis, John Wade, John Logan, and Jez Butterworth unsuccessfully try to duplicate the highlights of SKYFALL, which all but Butterworth scripted, and the result is an uneven, and frustratingly paced narrative. And, running at 2 hours and 40 minutes, it’s the longest, and most drawn out, Bond movie of the series. That’s another strike against it. But back to my original beef about how they tried to hide that Waltz was playing Blofeld. This is no way to treat the re-introduction of SPECTRE, absent from the franchise since DIAMONDS ARE FOREVER for legal reasons. Instead we’ve got this epically ineffective Bond in which Craig looks bored and ready to go home. After this routine ride with such a surprise fail, that’s sure how I felt.